Here at Inspired to Change we are super happy! We have just won a National Happiness Award! But, that’s not all. 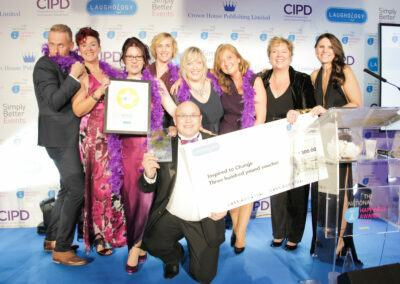 We have won the award for being the Happiest Team in the UK and there are two reasons why that’s super special. Firstly, we are not a traditional team who sit together in the same office. In fact, in reality, we each run our own businesses in completely different areas of the country and it’s only really twice a year that we even come together in the same room! And secondly, everything we do, with our team our 1-2-1 clients and our business clients is, ultimately, with happiness in mind. So, building a genuinely happy team has involved a significant amount of strategic planning and consistent focus. So, how can we even be a team at all, let alone the happiest in the UK? Everything we do at Inspired To Change is with one sole intention and purpose: to enable people to BE happier, so that they can BE the very best version of themselves. Because when we are being the best version of ourselves, we are more healthy, more focused and more productive. We are kinder and more patient and tolerant and therefore better parent, teachers, friends and partners. Quite simply, when we are being the best version of ourselves, we are more successful. So, what did it involve, winning this award? 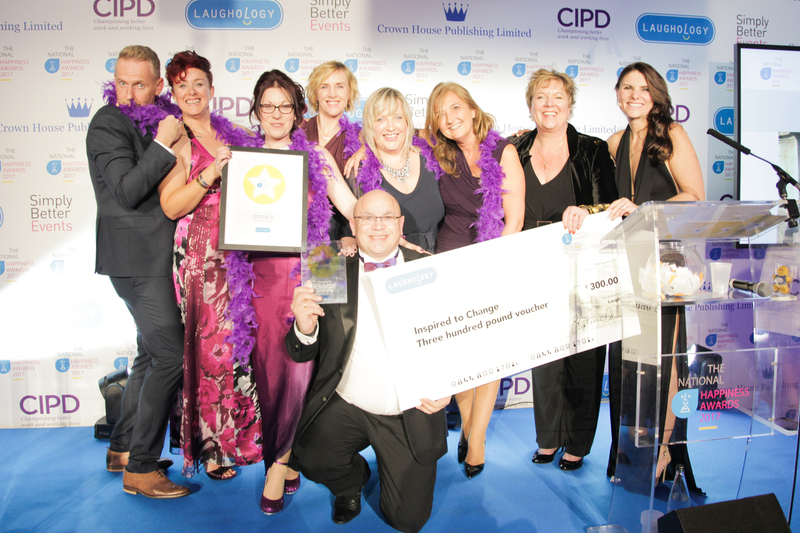 Laughology were looking for a team that is approachable and collaborative and that inspires others to want to work with it, through demonstrating an original and innovative approach to people development, promoting wellbeing and communicating positive messages about mental health and happiness as a priority. We recognised ourselves straight away! Every day at Inspired to Change we strive to be the best therapists we can be so that we can help as many people as possible overcome issues that hold them back and take back control of their lives. We get to do what we love (helping people to be more happy) and we recognise that in order to serve our clients best we need to walk our talk! So, that’s what we do! Every day we share what’s been good with each other on our shared online forum which keeps the serotonin (the happy hormone) flowing. Every week we focus on a specific action that will make us more successful with thought provoking questions which creates positive dopamine (the action hormone) urges. Every month we have a group growth call where we both seek and provide help and support which keeps us pumped up with oxytocin (the hug hormone). And twice a year we have a conference to boost us and our businesses where we refocus on our vision, so that we have a direction and a sense of purpose; create our plan of action, so that we know how we’re going to get there; hold each other accountable, so that we feel both stretched and secure; celebrate our successes so that our confidence and self-esteem is high and where our personal development takes center stage, which releases a cocktail of endorphins (feel good hormones). But our award wasn’t just for our approach with our team. It was also about the wider impact that team had on the business. 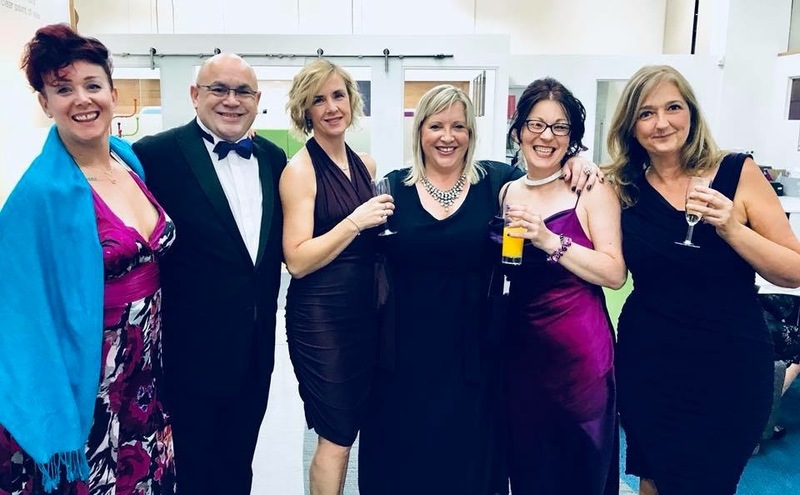 At Inspired to Change our team of Associates positively impacts the wider business, because as we help them develop and build their confidence and competence, they get involved in business development opportunities and projects. For instance, two of our associates are now lecturing at our Hypnotherapy schools, two run CPD’s for other practicing Hypnotherapists who are not associates, we now offer supervision to practicing hypnotherapists run by one of our associates. We run in-house anxiety workshops for schools and Train Your Brain workshops for corporate companies and we’ve recently launched a new collaboration (www.mentalhealthintheworkplace) which all of our associates will be a part. Not only that but we now have four busy hypnotherapy schools across the country. Our associates write for numerous publications, speak on the radio and are sought after as speakers at events. This all impacts positively on the business as a whole. 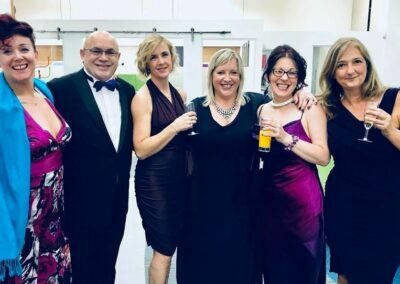 Not only has our associate team has grown in numbers 100% every year but each individual associates client numbers and income grows year on year too. None of this we could have achieved on our own! Together we are happier and better! Inspired to Change Associates are a team that puts happiness, mental health and wellbeing at the heart of our working life. Because we do that, we are best placed to support people with stress and anxiety and a myriad of issues, problems, conditions and disorders that hold people back and help them to take back control of their lives. That is what makes us the Happiest Team in the UK! The Happiest Team in the UK are recruiting! If you would like to join us contact us to find out more!